Today I continued exploring Hanoi with a motorbike. The highlights included the Phu Tay Ho Pagoda, Botanical Garden, Temple of Literature, and Peace Park. Phu Tay Ho is located at the West Lake (Ho Tay) in the centre of Hanoi. Locals fishing next to the pagoda. Very calm and peaceful in the morning. The pagoda and the tree. The fruit and the dragon welcome visitors. Fruit garden in the temple area. What a cute architectural design! People praying. It’s unbelievable, but I was the only foreigner at this serene place. I just sat next to the water and enjoyed the atmosphere. Why do tourists go to touristic places only? In Saigon someone told me there is not much to do in Hanoi. I was also told I must try some local dish, the name of which I didn’t bother to remember. This is the difference between tourism and travelling. You can do what TripAdvisor and Lonely Planet tell you, go on guided tours, and treat cuisine as the only experience worth of trying. Isn’t this another face of consumerism and conformism? Or you can raise your middle finger towards all reviews, and try out yourself: go to less known places, get lost in the city, use gestures to communicate with the locals. When in Hanoi, do no go to Tran Quoc Pagoda. Go to Phu Tay Ho. Or go to both to feel the difference. After visiting the fantastic Phu Tay Ho, I took a walk in the Botanical Garden. I didn’t find it special, but it was nice to dive into a green oasis in the middle of Hanoi. And you can do sports there too :). My next stop was the Temple of Literature. The man at the motor bike parking marked my bike with chalk :). The Temple of Literature, or the Temple of Confucius, is the first and oldest university in Vietnam founded in 1076 (!). 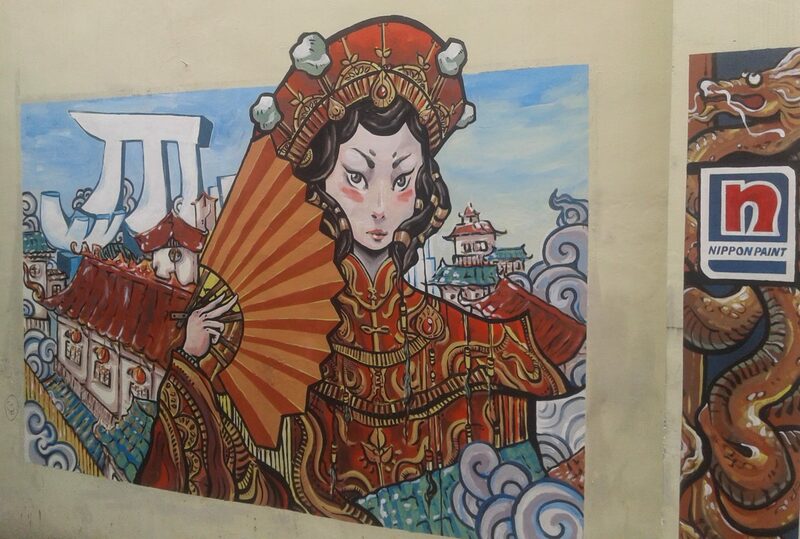 Chinese culture had a big influence on Vietnam (which doesn’t stop the Vietnamese from disliking the Chinese :)). The architecture has an old imperial style. Marvellous place despite an overwhelming number of tourists. Once I stepped away from a more crowded touristic zone, I was rewarded with a concert of traditional Vietnamese music. Having local cuisine for lunch. View to the lake on the way to the Peace Park. I found the Peace Park vast and empty. Perhaps the park was quite empty as it’s quite far. It took me about an hour by motorbike to get there. And on the way back I experienced an unforgettable Hanoi traffic jam :). Exactly! I saw this, but didn’t pay much attention to this. Now I remember.